Roasted garlic is a delicious member of the onion family that can be eaten on its own or used to add some flavor to a variety of foods. If you’re a fan of roasted garlic, then you should know that not only does it flavor your food, it also has health benefits. 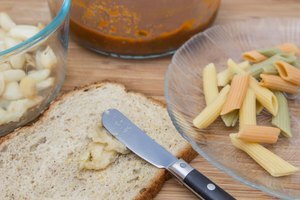 Learn a little bit more about how roasted garlic may be increasing your health while making your food taste great. There are a few benefits of roasted garlic versus eating it raw. 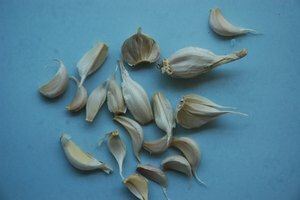 Raw garlic can be hard to swallow, and as you roast it, it's flavor becomes a bit sweeter and more mild, so this is a major flavor benefit of roasting it. Also, it is believed that chopping and roasting for a short period can stimulate and release the compounds in garlic that give garlic its healthy benefits. Another benefit of eating roasted garlic is increased heart health and a stronger cardiovascular system. It's important to not roast the garlic too long, say around 10 minutes, and also don't microwave it, as this can deplete its beneficial properties. Garlic has been found to help lower blood pressure, which is why many doctors recommend it to those with high blood pressure. It can help lower cholesterol as part of a balanced die, and can also help prevent arteries from clogging. Along with helping your body fight off colds and infections, roasted garlic has also been found to help in the prevention of certain cancers of the digestive system. 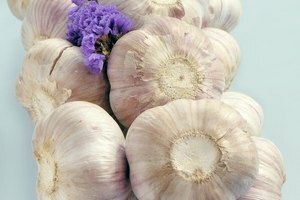 Cancers that garlic may help you prevent are stomach cancer, colon cancer and intestinal cancer, and a few other kinds such as breast cancer and prostate cancer. If you have digestive issues, such as irritable bowel syndrome or gastroesophageal reflux disease, try eating roasted garlic to help with symptoms like heartburn, nausea and indigestion. Since roasted garlic is milder than raw garlic, it is much easier to ingest if you have digestive issues, as it won't upset your stomach as much as raw garlic would. Garlic helps digestive health by promoting the production of fluids that help in digestion, assisting in the removal of waste from the body and decreasing inflammation of the stomach. 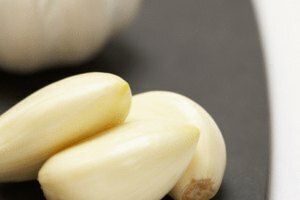 Roasted garlic can help boost your immune system. Thanks to its antibacterial properties, garlic can strengthen immunities and help fight off bacteria and illnesses. 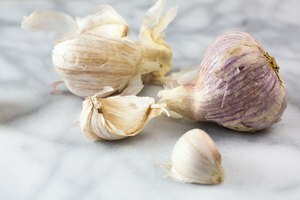 So next time you feel the onslaught of a cold, or there is one going around your home or work, try eating some roasted garlic to keep yourself from getting sick. Roasted garlic can also be used to treat a number of ailments on the outside of your body. It’s effective in treating athlete’s foot by rubbing the warm clove onto the affected area. You can also use it for other skin infections like acne, as well as a treatment for small wounds to prevent infection. Interestingly, a warm clove of roasted garlic can also be applied to an infected ear to treat pain and infection.